Mr. Trevino was recently re-elected in June 2015 to serve as Active Fire Trustee of the Fire and Police Pension Fund. He is currently a Fire Engineer in the San Antonio Fire Department. 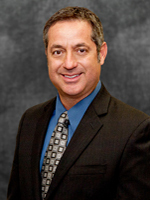 Mr. Trevino currently serves on the Fund's Personnel/Audit Committee. Jim is a graduate of Kent State University where he graduated in 1987. After graduation he was commissioned into the U.S. Army as a Second Lieutenant, Medical Service Corps officer. Jim remained on active duty until 1992 when he joined the San Antonio Police Department. He currently holds the rank of Sergeant where he supervises the Asset Forfeiture unit. Jim served 6 years as an Executive Board member of the San Antonio Police Officers Association until he was elected as a trustee to the San Antonio Fire and Police Pension Fund in 2010. Jim currently serves on the Investment Committee, Personnel/Audit Committee, and is Chairman of the Legislative Committee. Jim is also a board member of TEXPERS, where he chairs their Legislative committee, and a member of the Texans for Secure Retirement (TSR). Born and raised in San Antonio, Justin is a proud lifelong resident of San Antonio’s west side. He earned his bachelor’s degree from the University of the Incarnate Word and his law degree from the University of Wisconsin-Madison. Justin began his career in public service as a juvenile prosecutor for the Bexar County District Attorney’s Office where he worked diligently to assist young offenders in their rehabilitative efforts. 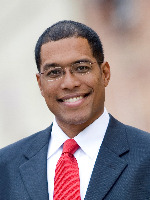 Elected to the Board of Trustees of the San Antonio Independent School District in 2004, Justin served in that role for three years before being elected to the San Antonio City Council and representing District 7 for two terms from 2007-2011. Improving the quality of life for residents by enhancing educational outcomes and creating economic opportunities for hardworking families has always been his focus. In 2012, Justin was elected to the Texas House of Representatives. 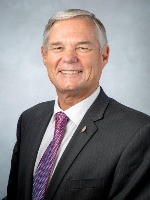 Serving three full terms as State Representative for House District 125, he was re-elected for a fourth term in 2018. During his time in the Legislature, Justin advocated for increased access to and affordability of higher education, voting rights, and accessible and affordable healthcare for all Texans. 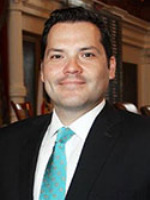 A strong advocate for San Antonio and Bexar County on the House Appropriations Committee, he sought and secured several leadership roles during his tenure including Deputy Whip for the House Democratic Caucus and was part of the leadership team of the Mexican American Legislative Caucus. On January 4, 2019, Justin was appointed to serve as Bexar County Commissioner for Precinct 2 and is filling the first two years of the unexpired term of long-time Commissioner Paul Elizondo. For his service, Justin has been recognized as a “40 Under 40” Rising Star by the San Antonio Business Journal and was named one of the “20 Latino Democrats to Watch Over the Next 20 Years” by the Houston Chronicle. Justin and his wife Victoria are raising their three children near the campus of St. Mary’s University in the heart of San Antonio’s west side. Dean was first elected in April 2012 to serve as Active Fire Trustee of the Fire and Police Pension Fund, and was re-elected in May 2013. He is currently a Fire Engineer in the San Antonio Fire Department. Dean currently serves on the Fund's Investment Committee and Legislative Committee. Jimmy Foster joined the police department in 1988. He was promoted to Detective in 1995 and is currently assigned to the Robbery Task Force Unit. He is currently serving a second term on the San Antonio Police Officer’s Association as an Executive Board Member. Jimmy was currently elected to the San Antonio Fire & Police Pension Fund board, and serves on the Funds Disability Committee and Legislative Committee. Larry Reed is a Retired Fire Department Captain and represents the Retired Firefighters as Trustee on the Fire and Police Pension Fund. He previously served as the Active Firefighter Trustee from 1985-1999 and the Fund's Executive Director from 1999-2003. In addition, Larry was elected by Firefighter Pension Funds across Texas as a Director of the Texas Association of Public Employee Retirement Systems (TEXPERS) from 1998-2005. In 2010, he was again elected to the TEXPERS Board of Directors. He has also served on the Board of Directors of the Generations Community Federal Credit Union for over 20 years. Larry is a 1976 graduate of the University of Texas-San Antonio with a BBA in Finance. 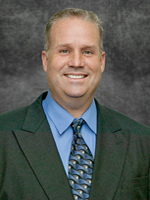 Larry currently serves on the Legislative Committee, Investment Committee, and is Chairman of the Disability Committee. 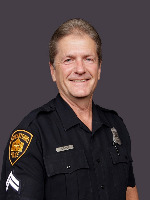 Assistant Chief of Police Harry Griffin retired in 2010 after 34 years of service with the San Antonio Police Department. Additionally, Harry served as a Board Member with the Fire and Police Pension Fund during the last 19 years of his service as a police officer.Harry graduated from Texas State University in 1974 with a Bachelor of Science in Law Enforcement and from the 199th FBI National Academy in 1999. He served as a council member for the City of Selma Texas from 1990-2000, a suburb of San Antonio. Harry currently sits on the Board of Directors of the Center for Health Care Services, Bexar County’s local mental health authority, and serves as Treasurer. The Center, a governmental entity, employs 800 mental health professionals and serves the 1.5 million persons residing in Bexar County Texas. Additionally, Harry was appointed to the Texas Risk Management Fund, in 2010, and serves on the Fund’s Investment Committee. Harry was recently re-elected as the Police Retiree Representative for the San Antonio Fire and Police Pension Fund, to a four-year term beginning June 1, 2015. Harry serves on the Pension Fund's Disability Committee, Investment Committee, and is Chairman of the Personnel/Audit Committee. Harry has been married to his wife Katherine for 39 years and together they have two children, Patrick and Karry. Art Hall, 48, was born in Hempstead, Texas. His parents are Archie Lee Hall (of Crockett, Texas) and Clarita Alcausin Hall (of Vigan, Ilocus Sur, Philippines). Art and his younger brother, R-T (West Point, 1995), grew up in the family’s home in Lubbock, Texas. Today, Art and his wife, Stephanie (McClain) (of Lufkin, Texas), and their 13-year old daughter, Londyn, call San Antonio and District 2 home. Art is a graduate of Harvard University (BA, 1993), Texas Tech University (JD/MBA, 1996), and the University of Wales at Aberystwyth (UK) (LLM, 2000). He received the Pforzheimer Foundation Scholar Award at Harvard, and the Clifford Chance Business Law Prize for the highest academic award and the Calcott Pryce Subject Prizes in Banking and Finance, Corporate Insolvency, International Copyright, and Consumer Law at the University of Wales. He has several articles that have been published in law and finance journals, including his most recent article on international banking regulation published in the Journal of International Financial Markets (based in London) and the New York Law School Journal of International and Comparative Law. Clayton Perry was elected to San Antonio's City Council for District 10 in June 2017. Councilman Perry began his journey in Giddings, Texas. His father, Hays Perry owned a plumbing company where the younger Perry worked after school and during summers. After attending Giddings High School, he earned his Bachelor of Science in Building Construction from Texas A&M University in 1979. During his time at Texas A&M, Councilman Perry was a part of the Corps of Cadets in the Fight’n Texas Aggie Band. After receiving his degree, Councilman Perry began his career in the military as an Air Force Civil Engineer. He served almost 21 years and retired from Headquarters, Air Education and Training Command at Randolph Air Force Base as a Lieutenant Colonel in 2000. During this time, Councilman Perry earned his Master’s Degree in Aerospace Technology from Embry Riddle. His most memorable accomplishment was in Europe where he programmed, designed, and oversaw construction of the facilities in support of the first Ground Launched Cruise Missile Wing at RAF Greenham Common in England. Councilman Perry has more than 30 years of experience in all aspects of construction including environmental engineering and remediation where he has been responsible for directing entire programs, project management, marketing and business development organizations within the industry. When he was not working on large-scale engineering and construction projects, Councilman Perry was active in his community. He served on his neighborhood association board and as president, Northeast Neighborhood Alliance member, membership secretary and secretary, and as the District 10 representative and chairman on the Building Standards Board, and 2017-2022 Bond Committee. Councilman Perry has three children: Beau, Amanda, and Devon; all of whom he is extremely proud of their accomplishments. He is also the grandfather to five children, Madilyn, Vivian, Kimberlyn, Kaden, and Caleb. When he is not serving the residents of District 10, he can be found on the lake or visiting his family.